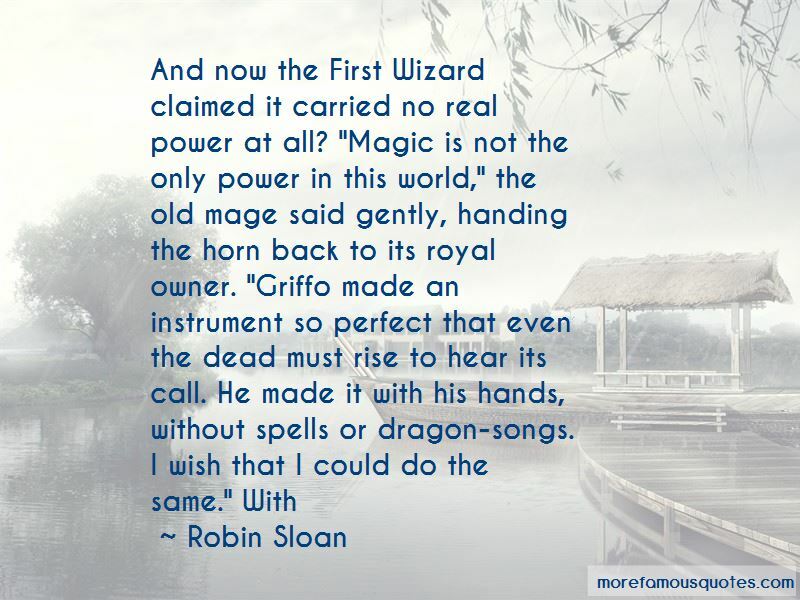 Enjoy reading and share 36 famous quotes about Spells And Magic with everyone. “I can kill with a single word. I can hurl a ball of fire into the midst of my enemies. I rule a squadron of skeletal warriors, who can destroy by touch alone. I can raise a wall of ice to protect those I serve. The invisible is discernible to my eyes. Ordinary magic spells crumble in my presence ... But I bow in the presence of a master. “Poetry is a sort of inspired mathematics, which gives us equations, not for abstract figures, triangles, squares, and the like, but for the human emotions. If one has a mind which inclines to magic rather than science, one will prefer to speak of these equations as spells or incantations; it sounds more arcane, mysterious, recondite. I knew, without having to ask, what she meant. Life was not the magic of spells or enchantments or sorcery; or, it was, but that was not the point. Life created magic as an accidental by-product, it wasn't, definite article, absolute statement, A=B, magic. Life was magic in a more mundane sense of the word; the act of living being magic all of its own. “Oh, are you doing magic? Let's see it, then." She sat down. Ron looked taken aback. He waved his wand, but nothing happened. Scabbers stayed gray and fast asleep. “And then I remembered something. Holy crap, I'd obviously been without magic for way too long to have forgotten one of the coolest spells I could do. "Stop!" I yelled.. Archer, Cal, and Jenna all skidded to a halt on the sand. I waved my hands at them to come closer. "Okay, everybody hold hands," I said. Archer stared at me, one hand pressed to his bleeding chest. "Sophie, this really isn't the time for a friendship circle." "It's not that," I said. "It's this." I closed my eyes and channeled all my magic into a transportation spell. 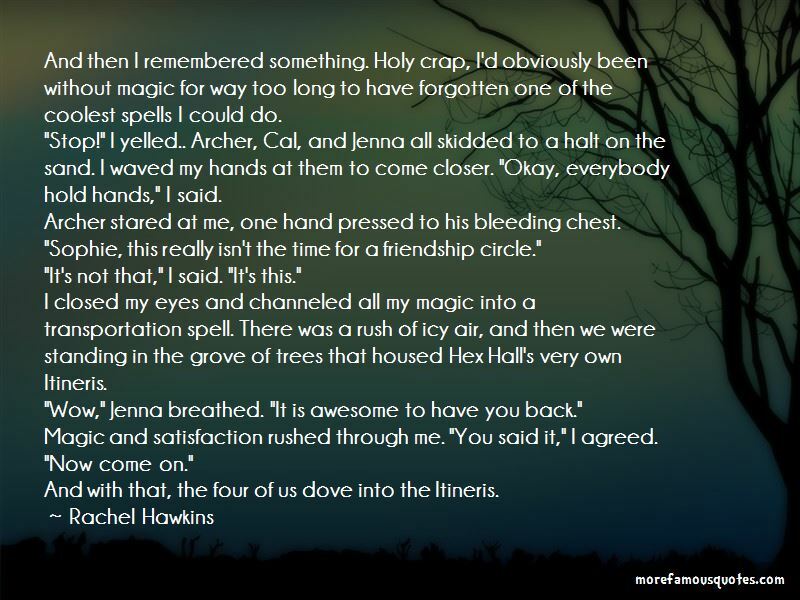 There was a rush of icy air, and then we were standing in the grove of trees that housed Hex Hall's very own Itineris. "Wow," Jenna breathed. "It is awesome to have you back." Magic and satisfaction rushed through me. "You said it," I agreed. "Now come on." 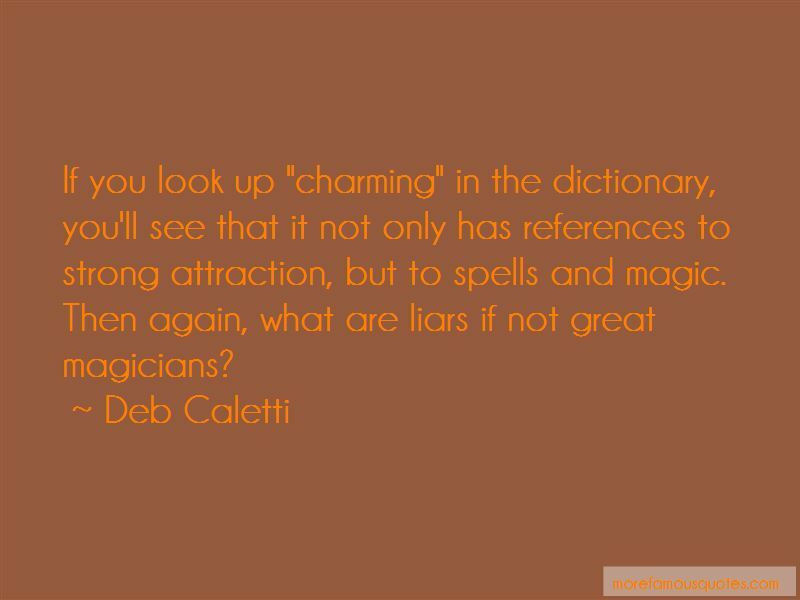 Want to see more pictures of Spells And Magic quotes? 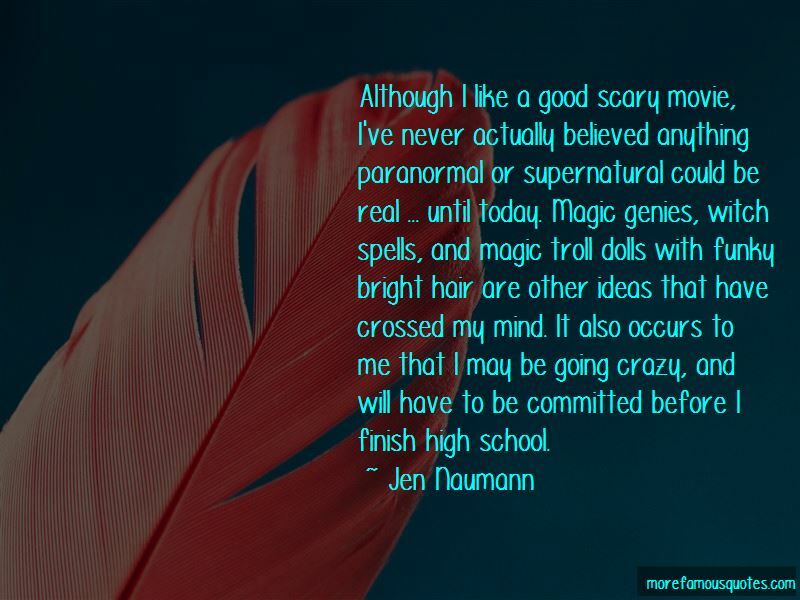 Click on image of Spells And Magic quotes to view full size.